The total for budget for IDA is $4.3 million. This is well below the peak budget of $10.7 million. Local funding for IDA increases by $1 million to $3.5 million to offset an expected decline in federal reimbursement. This $1 million increase is one-time funding, meaning new funding will need to be identified next year to maintain the caseload. Monthly benefits are set to increase from $363 to $406. Only 882 residents can be served compared with 2,750 who were served when program participation was not capped, suggesting many residents in need cannot access benefits. 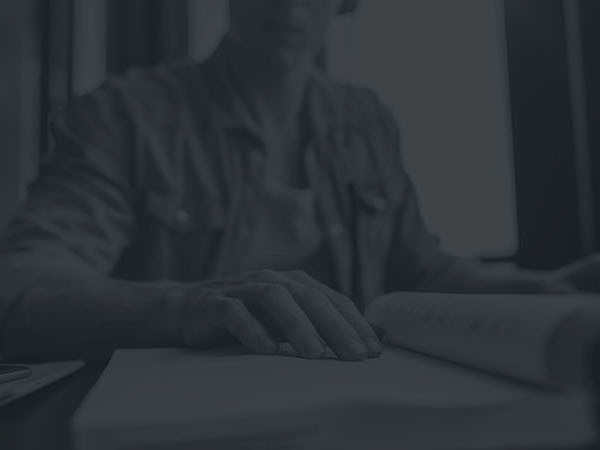 Interim Disability Assistance (IDA) provides modest, temporary cash benefits to adults with disabilities who have applied for federal disability Supplemental Security Income (SSI) benefits and are awaiting an eligibility determination. The wait-time for federal benefit determination has skyrocketed in recent years, from 350 days in 2012 to nearly 600 days in 2017, leaving residents too sick to work but lacking benefits. The $4.3 million total budget for FY 2019 is about one-third of the program’s historic funding. In FY 2009, IDA spent $10.7 million which allowed the District to provide benefits to all who needed them, around 2,750 residents per month (Figure 1). IDA serves as a vital lifeline for DC residents who cannot work and have no other income or other means to support themselves. IDA allows recipients to pay for basic needs such as transportation, medicine, toiletries, and food. In addition, the steady modest monthly income allows recipients to access some housing programs that are administered by nonprofit organizations and require residents to have some kind of income. IDA is similar to interim assistance programs offered in 38 states, including Maryland and Virginia. SSI approval can take anywhere from several months to several years, with the average wait time of 600 days. 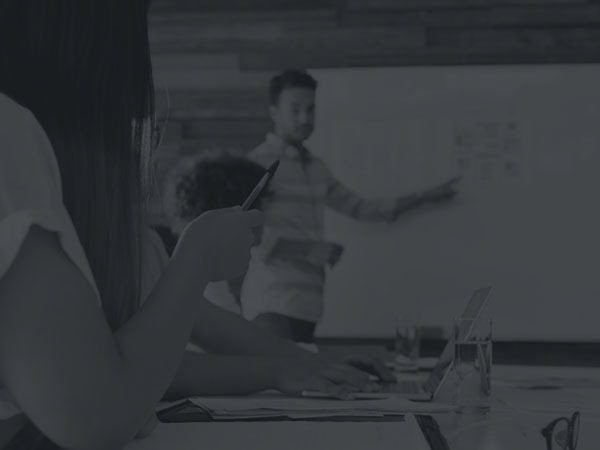 The benefits paid to IDA recipients are reimbursed by the federal government if an applicant is ultimately determined to be eligible for SSI. The FY 2019 budget combines $3.5 million in local funding with $800,000 in federal reimbursement and $19,000 from the fund balance for a total budget of $4.3 million. 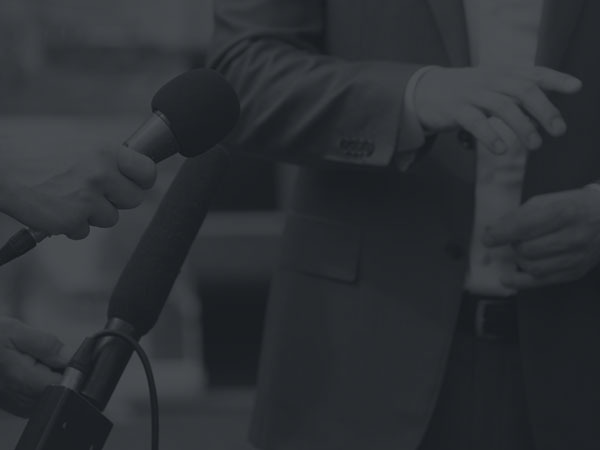 Federal reimbursement funds come from the Social Security Administration. When an individual is approved for SSI, the federal government reimburses the District for the IDA benefits the individual received. These reimbursement dollars are used to support the annual budget and unspent funds are put into the SSI Payback Fund at the end of the year so the District can provide benefits for future IDA applicants. In the past few years, federal reimbursement has been budgeted at $1 million but the District has only received $800,000. So, the FY 2019 budget reduced from FY 2018 to reflect this lower reimbursement. In past years, funds have been taken out of the SSI Payback Fund for other purposes, meaning the District is less able to provide IDA to new recipients. More than $1.3 million was repurposed in the FY 2018 budget for non-IDA purposes. This leaves the District with only $19,000 in the fund balance currently, and likely a similar small balance in future years. The IDA benefit level is tied to benefit levels in Temporary Assistance for Needy Families (TANF), DC’s welfare to work program. The IDA benefit equals the TANF benefit for a household of one person (such as a pregnant mother applying for TANF). Under a policy adopted in the FY 2016 budget, TANF benefits are increasing between 2017 and 2019, which also means that IDA benefits will increase. 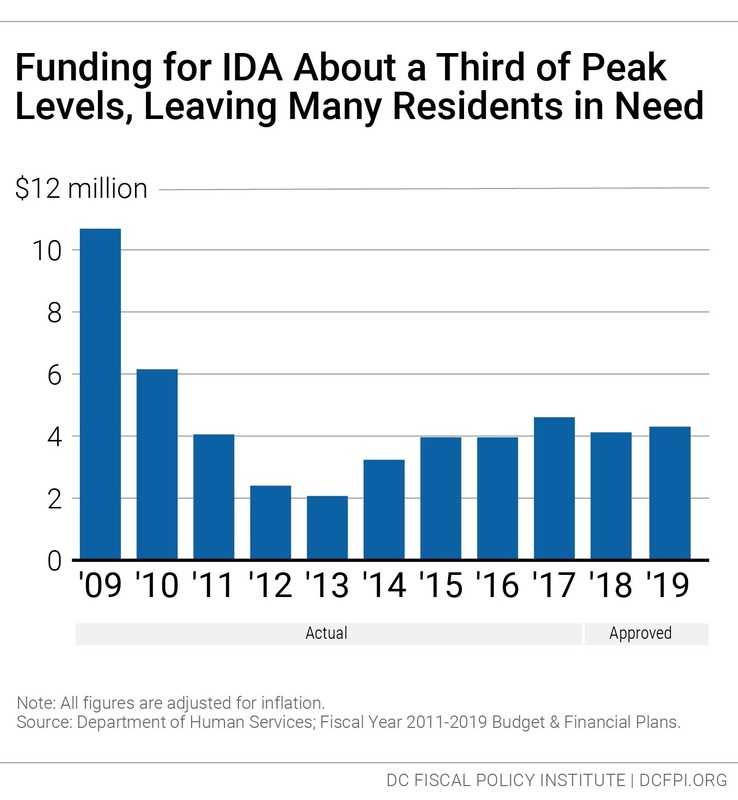 The IDA benefit will increase to $406 a month in FY 2019, an 11.8 percent increase (Figure 2). 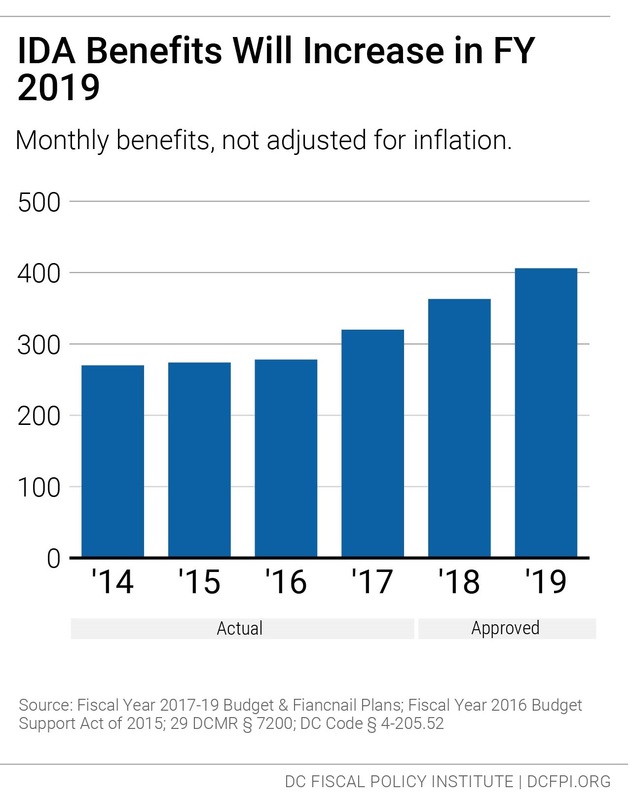 After FY 2019, benefits will be adjusted annually for inflation. In FY 2009, the Interim Disability Program spent $10.7 million and was funded to serve all residents in need, around 2,750 residents. This is far higher than the 882 residents who will be assisted in FY 2019 (Figure 3). 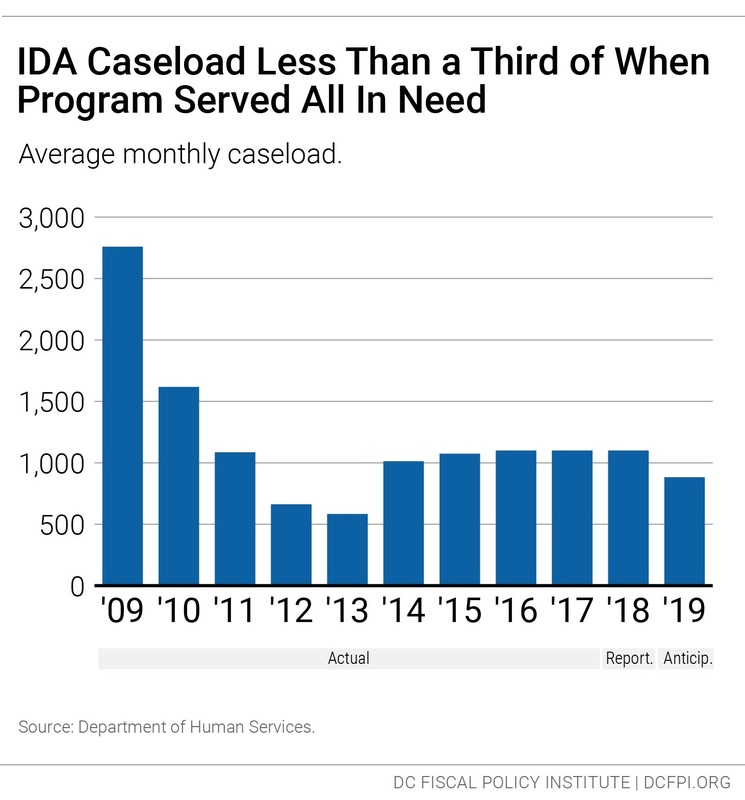 The reduced funding and caseloads for IDA since 2009 suggests that many DC residents with disabilities have no regular source of income, since one of the prerequisites for applying for SSI is that an individual is unable to work.